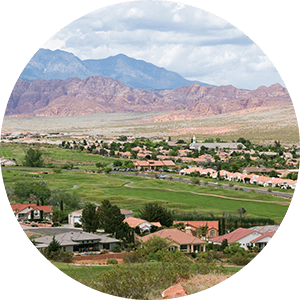 Settled in the heart of “Utah’s Dixie” St. George is a city featuring a population of about 84,000 residents as of 2017 and currently has the fastest-growing metropolitan in the United States. Located in southwestern Utah, St. George sits near the border of Arizona and the tri-state junction of Arizona, Nevada and Utah. It sits 118 miles northeast of Las Vegas. St. George, Utah is often recognized for its proximity to some of nature’s finest features in the western United States desert with quick and easy access to multiple state and national parks including Zion National Park, Bryce Canyon National Park, Snow Canyon State Park and Snow Canyon State Park among many other national monuments. The city was founded during a cotton mission by members of the Church of Jesus Christ of Latter-day Saints. This is why it got the nickname as "Utah’s Dixie." After the cotton mission failed and was abandoned, settlers turned toward the tourism draw to bolster the area’s economy, which continues as a driving force of economic growth throughout the metropolitan area today. Much of the history of St. George’s founding can still be found throughout the city and outlying areas like the home of Mormon pioneer Brigham Young still located in downtown St. George. The home is open to visits and tours. 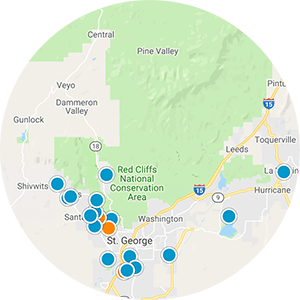 In addition to a long and complex trail system throughout the city, St. George and surrounding cities also feature dozens of parks for residents and visitors as well as a handful of golf courses like Sunbrook, Entrada, Green Springs and The Ledges. 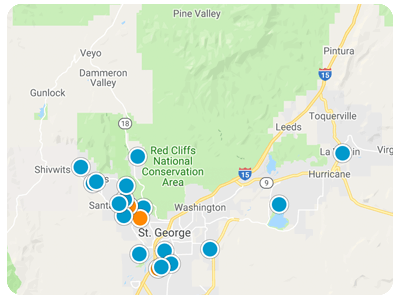 St. George is known for having a mild winter climate in comparison with the rest of the state with little to no snowfall, but temperatures in the 100s in the summertime. 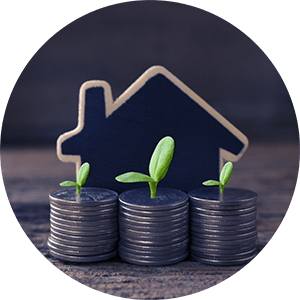 Just a few reasons why St. George Real Estate is in high demand these days.